These dishes are designed for olives or a variety of nuts. The olive stones/pits or nut shells can be conveniently placed in the smaller section. 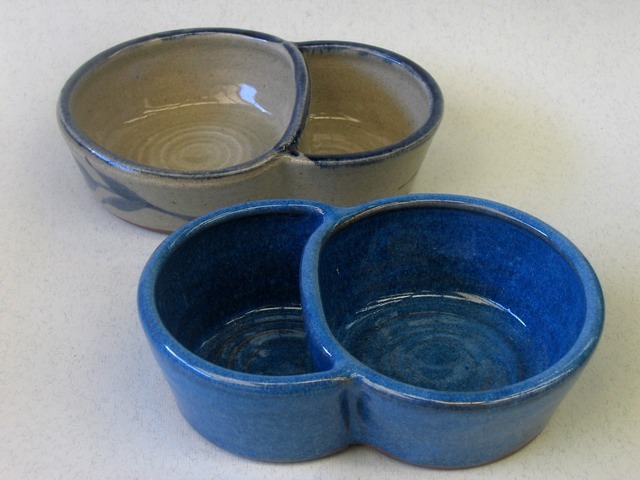 dishes are 1.5 inches or 4 cm high and 7 inches or 18 cm wide.